FROM gin and rum to whisky and vodka, Scotland is renowned for producing a range of quality spirits. And if 2018 is anything to go by, the demand for premium brands looks set to move on up in the new year – meaning publicans have an opportunity to make a believer out of many more customers. That was the message from spirits firms, who extolled the virtues of stocking a range of quality spirits on the back-bar. 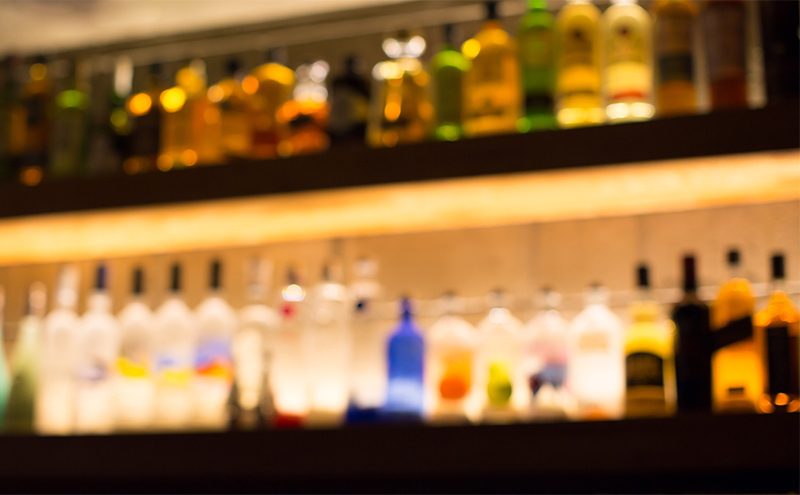 With the right products, there’s ample opportunity to upsell, reckons Dan Bolton, managing director of drinks distributor Hi-Spirits. “The spirits category is more diverse than ever, driven by the cocktail boom and the significant shift in customer expectations and knowledge of premium and craft spirits,” he said. While whisky holds the strongest association with Scotland, gin is said to remain the spirit of the moment. Moira Swan, drinks buyer at Inverarity Morton, said the juniper-led distillate “is still the largest growing category, but malt whisky/blended malt, rums and tequila are also showing good growth year on year”. This was echoed by Joanne Motion, UK customer marketing manager at Edinburgh Gin parent firm Ian Macleod Distillers. She said gin “is still the pacesetter in the spirits world”. “Operators looking to increase their premium spirits stock may find it advantageous to stock a well-known brand, such as Edinburgh Gin, that’s known for its versatile, vibrant portfolio,” said Motion. 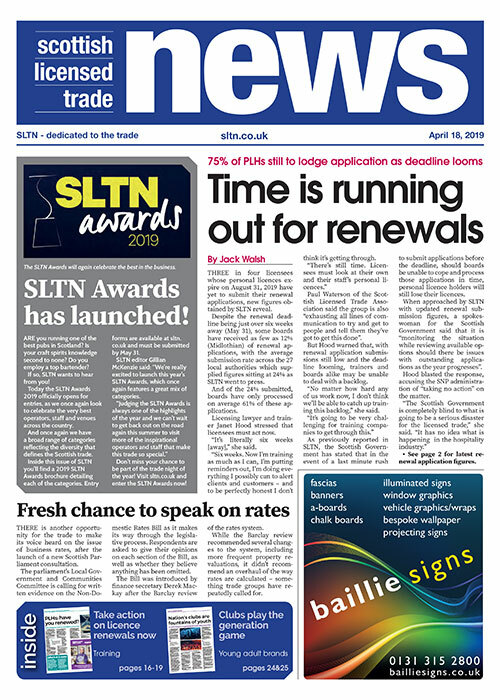 Celeste McGinn, owner of Glasgow-based gin brand McGin, told SLTN that licensees who extend their range of quality spirits stand to “increase their customer base, spend per head [and] educate their customers in new products”, as well as “create more interest around brands – and therefore potentially more sales”. However, in order to translate increased consumer interest in premium products into sales, bartender knowledge of what’s on the back-bar is critical – especially when it comes to advising customers and offering personal recommendations. Dan Bolton of Hi-Spirits said: “Bartender advocacy becomes important when operators are aiming to move from a mainstream to a premium spirits offer. Bob Fowkes, co-founder and marketing director at Brockmans Gin, echoed Bolton’s view, stating that knowledge “is very important” to unlocking premium spirits sales. “The key to consumers sampling new drinks is a well-informed bartender,” he said. “Use the brand ambassadors or sales teams supplying your gin to run masterclasses and training sessions for the team. Motion of Ian Macleod Distillers said premium spirits have a role to play in a cocktail offer. But it must be on-trend. “Vintage, prohibition-era cocktails are ever-popular – and incorporating either a savoury or a spicy gin into the mix is a great way to introduce consumers to these flavours in an accessible fashion that’s bang on trend,” she said. And while gin liqueurs also continue to prove popular, Motion said there has been “a quiet rise in demand for London Dry gins that contain unusual flavours”. Generally speaking, promotion of all premium spirits an outlet stocks is important, said Bolton of Hi-Spirits. For instance, he reckons bespoke point of sale “can highlight the highest margin drinks, as well as the best-selling brands”. “Carefully placed cocktail shakers, strainers and chopping boards send the right visual cues and help to persuade customers that bar staff take drinks service seriously,” he said.